The prominence of project homes in the Australian housing market is a relatively recent phenomenon commencing in the 1970’s and growing through the 1980’s. Today, project homes account for the vast majority of freestanding houses built in Australian residential subdivisions. For the purpose of this blog, a project home is defined as a standard house design which is replicated on numerous sites with limited variations and built by residential builders. Prior to the advent of project homes, most houses built in Australia were custom designs built by a local licensed builder who, due to limited resources and labour, would undertake no more than 3 to 6 houses at any one time. Now, larger project home builders in NSW commence can 20 to 40 houses in a single month! In this blog, we discuss the characteristics of the typical project home, the factors that have led to their popularity and some of the advantages and disadvantages of these homes. Builders now have a range of standard designs aimed at different price points and buyer requirements. The builder operates from a combined showroom/office with the majority of on-site management conducted by a number of supervisors. These supervisors travel from job to job spending an hour or two on site at each house, monitoring progress and checking on quality. A builder based in Newcastle can have houses being built in Port Stephens, the Hunter Valley, Lake Macquarie as well as the outer suburbs of Newcastle. 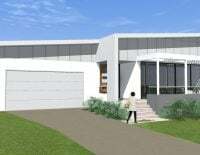 This larger area of operation is another major change from the traditional practice – prior to the advent of project homes, a builder based in Maitland, for example, would only build houses in the Maitland area. With the standard designs and the large turnover of repetitive home projects, home builders receive large discounts from their suppliers due to their purchasing power. These discounts are offered on the full range of building materials from wall frames, roof trusses, roofing, windows, bricks and finishes. It is impossible for a small custom house builder to compete against a project home builder on price due to their enormous advantage of the discounts. Due to the repetition of project homes, the design costs can be spread over the construction of hundreds of houses. These design costs include the architectural design, structural drawings, and construction drawings. The supervision costs are also low as it is spread over many houses. The standard designs produced by project home builders are based on a “one size fits all” proposition. While the number of bedrooms, bathrooms and the size of the garage may vary, very little else changes from one house to another. Any survey of the project home market will immediately show the similarity and standardisation of the designs that are offered, not only in terms of the internal planning but also with the external expression and the fixed range of finishes and fittings. To describe project homes as bland and uninspiring would not be an unfair statement. Part of the reason for this lack of originality is the standardisation which brings with it the economy of construction. In many cases, the design of the house is based around the ease, economy and standardisation of construction rather than other more important factors such as the specifics of the site, climate, orientation and most importantly the owner’s particular lifestyle. Due to the factors noted above, project homes offer the lowest possible cost for the floor area enclosed in a more or less traditional, freestanding house. If a future homeowner employed a custom builder to create the same floor plan as a project home, the cost would be higher due to smaller discounts on materials from suppliers, especially when compared to a project home builder. Project homes are deliberately marketed and discounted down to a particular price and demographic. This is based on the fact that most potential homeowners are making the decision about their future home based on their economic circumstances and are seeking the most affordable house without crippling their budget. So, the trade-off for the lower cost of the house is often the poorer quality of the house as a place to live. The sophistication of the marketing for project homes has increased dramatically in recent years. Firstly, there is the advertised “sticker” price which is unbelievably low. After inquiring and discovering that “additional” costs are included (site excavation, services connection, Basix, the preferred level of finishes, etc), the “sticker” price can double. Each project home builder tries to offer a ‘closed shop’ to stop buyers comparing apples with apples. Builders have their own particular range of finishes, kitchens, bathrooms etc, all based around their supplier discount arrangements. The maze of options, extra costs and technical information can be daunting for the average buyer. The sales staff of the project home builder are employed for their sales skills and become experts at closing the deal. While project homes offer economical advantages, they also carry a number of disadvantages. For example, the average project home is not suitable for odd shaped or narrow sites as well as sloping sites where the amount of excavation becomes excessive. Project homes do not respond to the site’s characteristics as previously mentioned. The houses can rarely take advantage of views, orientation and the immediate context. Project homes have a standardised floor plan which is intended to suit the majority of family households. The reality is that people’s lifestyles and preferences are highly individual and as different as every other aspect of each person’s personality. All project home designs are designed to face the street. This standardisation of approach ignores the unique characteristics of a site where the best orientation or views may be over the rear yard or in other directions. If, for example, the main living space is built facing the street with a west orientation, this can create extremely uncomfortable conditions during the long, hot summer months. The choice of materials, finishes and fittings are limited. Any desire to opt for an alternative will often incur a significant additional cost. Elevations are also fixed and will also incur an additional cost to adjust. The low cost of project homes that appeals to people with a limited budget can be a trap for the unwary. While project homes initially offer the lowest price and an easy entry into the housing market, in the long term there is a lower growth in value and capital gain. This cap on capital gain is the result of both the repetition of the project homes (in many suburbs virtually the ‘same’ house may be for sale on six different lots), but also the project home is recognisable as a particular model of a certain project home builder. Each model has been identified in the company’s marketing as a particular house to be built for a particular price. This widely advertised cost is often the basis for a valuation and will be reflected in the eventual re-sale at some time in the future. 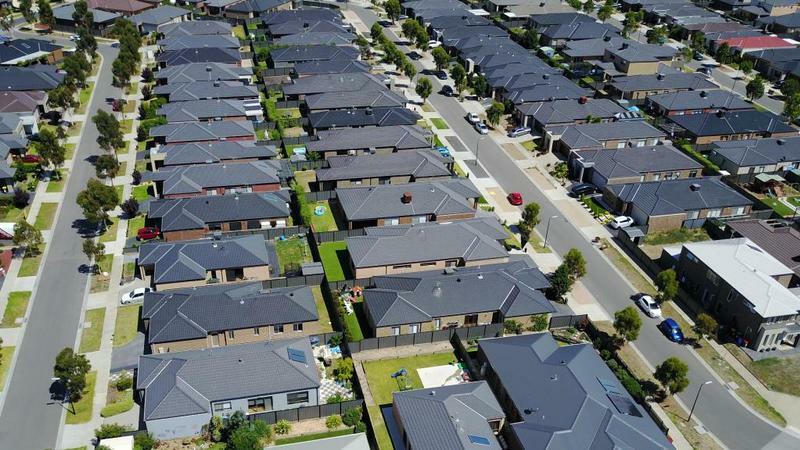 As noted earlier, there is also a negative association with all other project homes due to the sameness of these houses and their endless repetition through virtually every suburb throughout Australia. 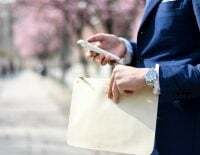 These factors all combine to limit the capital gain on any project home in comparison to a custom house which is unique, individual and different. The popularity of project homes is primarily based on their low cost and ease of purchase. Project home builders arrange all approvals, construction documents and sub-contractors, plus there is also the peace of mind that the builder has built hundreds of these houses before. If you have a suitable lot, select the best design for your property and negotiate a suitable contract price, a project home can be an expedient solution. However, there will always be people that seek more than a standard solution. These are people who believe that a house should be more than four walls erected for the lowest possible price. A custom home designed by an Architect can deliver so much more. A custom designed house can enrich your life through better planning, appropriate orientation, better indoor/outdoor relationships and stimulating spaces. As the seasons change, these unique houses can offer new experiences and greater awareness of the natural world, giving a richer appreciation of life and a feeling of joy and delight. Something more than mere existence! Want to build an incredible, unique home? Read about how Architects charge for their services and contact Mark Lawler Architects to start planning your home. 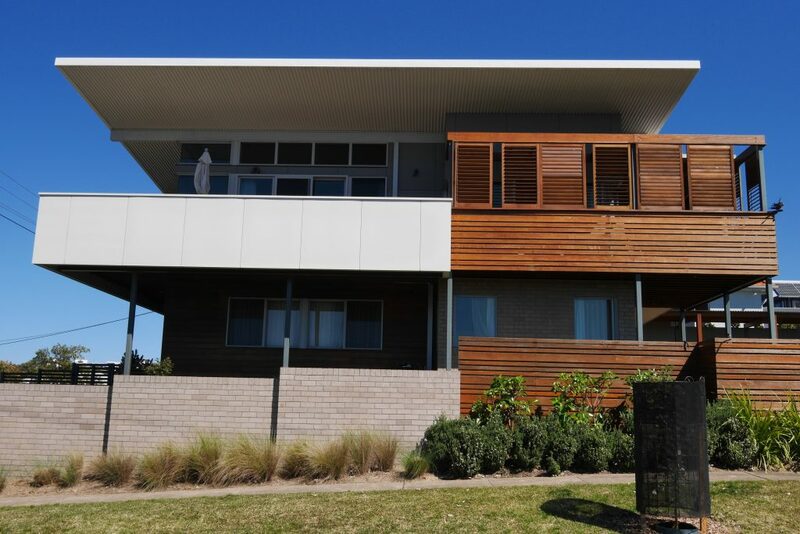 Talk to an experienced team of architects about building a custom designed home – call our team on (02) 4942 5222.